Learn how the $330M Department of Commerce FCU will achieve 10% organic membership growth this year. 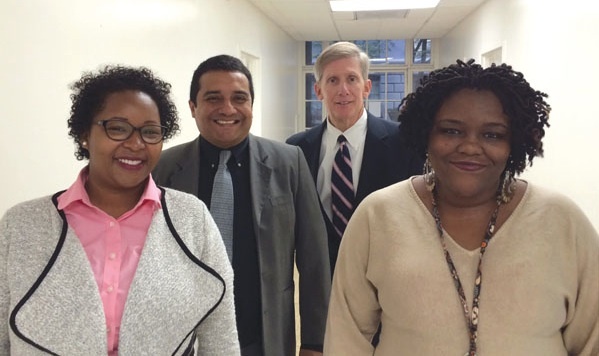 The Department of Commerce Federal Credit Union's business development team includes, from left: Business Development Representatives Brenda Vaughn and Victor Salas, Brink Seward, business development director, and Patrice Williams, the team's administrative assistant. Evan Clark said he can take any one of the products at the Department of Commerce Federal Credit Union, go on the Internet and in a matter of five minutes, come to one brutally honest conclusion.